Our new Lt. Governor Susan Bysiewicz and State Reps Chris Conley and Joe de la Cruz join us for our legislative outlook meeting this Wednesday. Come hear what’s at stake this legislative session and have your voice heard! New London City Councilor Anthony Nolan will also join us. He will update us on his campaign and the 39th District special election. Hello and happy new year! Here’s to another year of progress, productivity, and making our voices heard. We are jump-starting our productive year with a Writer’s Workshop to Fight Climate Change one week from today, on Monday, January 14th, 2019 at 7pm at Groton Public Library. At this family-friendly workshop event, we will have several stations set up (including a kids’ activity table!) where people of all writing abilities can write letters to local newspapers, post on social media, and contact elected officials. Plenty of friendly, informed RUM volunteers will be available to help and Judy Westwood’s amazing cookies will be on hand for anyone who needs a snack. So, bring your laptop. Bring the kids. Bring a coffee. We’ve got work to do! See you next Monday! The first question will ask voters if the state should constitutionalize a “lockbox” to ensure transportation revenues are spent only on transportation-related initiatives and debts. If passed, the state legislature would be prohibited from using those funds for nontransportation purposes. The second will ask voters whether the constitution should require additional reviews and public hearings prior to the sale or transfer of state-owned land, such as state parks, state forests and conservation areas. CT VOTERS – DO YOU FIND IT TOO FAR TO WALK FROM THE PARKING LOT INTO THE VOTING BOOTH AREA? If so, you may drive up to the curb at the voting place and ask one of the volunteers holding signs to go in and tell the poll officials that someone has requested curbside voting. Two poll-workers of opposite parties will come outside to assist you. Have your identification ready and they will allow you to vote privately in your car in the presence of the election officials. Click here for more information for voters with disabilities. If you attended the debate between Bob Statchen and Heather Somers on Oct 17th, you heard some BOLD CLAIMS from Republican incumbent State Senator Heather Somers. Here we present THE FACTS so that you can stay informed on the issues and make your own decision. Somers voted against the BUMP STOCK ban in CT 2018, despite her claims of being in favor of a previous version of the BUMP STOCK bill. Heather Somers’ consistent opposition to common sense gun legislation has earned her an NRA rating of A- in 2014 and 2016. Source: THE WASHINGTON POST: Go to the bottom of the article and enter her name. BOB STATCHEN approves BANNING the BUMP STOCK. Source: FOX 61, includes a video of a BUMP STOCK in use. Heather Somers claims that tolls would cost drivers thirty-two cents per mile for Connecticut residents and would cost a commuter driving from Griswold to Electric Boat $3,400 a year. Our State Transportation Department refutes that claim, calculating that E-Z Pass commuters will pay less than four cents per mile, not thirty-two. Heather Somers asserts that she wanted to protect the Citizens’ Election Program. NOT TRUE: Somers proposed legislation to eliminate the Citizens’ Election Program, and would have empowered special interest and lobbyist money instead of ensuring a level, inexpensive, playing field. If you missed the debate, you can watch it in its entirety on YouTube. An update on our invitation for a 40th District (Groton/Ledyard) debate. RiseUpMystic attempted to host a debate between Representative Christine Conley and her challenger, John Scott. We offered to secure a venue, locate a neutral moderator, and publicize the event. While members of RiseUpMystic do support progressive candidates, we also believe that debates are different than campaigns and that voters deserve the opportunity to be well-informed about all candidates. At a debate, the campaigning stops and it is an opportunity to hear from both candidates without bias. Unfortunately, Mr. Scott issued a number of conditions, including that conservative radio host Lee Elci serve as one of the moderators. We felt this was not at all in the spirit of debate. We regret that Mr. Scott did not respond to our follow-up suggestion that we find a fair and impartial moderator. However, we would like to thank Representative Conley for accepting the terms and agreeing to the debate. We appreciate all she has done, and continues to do, for her constituents. Take action & reach out to a friend: write a postcard! We had a great turnout for our first two Saturday morning canvassing efforts. First-time and seasoned canvassers alike reported connecting with neighbors, making new friends, and informing genuinely curious people about candidates who want to bring their progressive values to the state congress. If you missed the first two events and want to get in on the fun, you have plenty of time! Check out our event calendar for more info. Can’t commit a weekend morning to canvassing? Make a difference in just a few minutes by writing a postcard to someone you know in the 18th Senate District in CT to remind them to support progressive values with a vote for Bob Statchen on Nov. 6th, 2018. We are also looking for volunteers to write letters to the editor of their favorite local paper in support of Bob Statchen, especially after his debate against Republican Heather Somers at Fitch High School at 7pm Wednesday night. You can help us make a difference in November. We are so thankful for this community and for all that you do! The election is eight weeks from today, on Tuesday, November 6th, 2018. We are in the middle of coordinating an exciting canvassing effort through the Adopt-A-District program. If you’d like to join the fun and help spread the word about the election and local progressive candidates, please sign up with the online form linked here. We have also compiled helpful links and information about Election Day 2018 as part of our mission to increase voter turnout and make politics more accessible. Project Vote Smart (votesmart.org) is a great place to start. Search for politicians by zip code, find your “political soulmate,” and check their blog for This Week in Research. CT residents can register to vote online here. CT residents can find important election information and updates, including how and where to vote, (and hopefully, soon, sample ballots for Nov. 6th) on the Secretary of the State’s Voter Fact Sheet. The candidates participating in our Adopt-A-District canvassing effort include Bob Statchen, Chris Conley, Joe de la Cruz, and Kate Rotella. The two candidates facing off in a heated battle for governor of CT are Ned Lamont (Dem) and Bob Stefanowski (Rep). Stay informed and stay vigilant, friends. See you at Jason’s house on October 6th for our first day of canvassing! We are very excited that Susan Bysiewicz will join us for our next RUM meeting on Tuesday, September 11th at the Groton Public Library at 7 pm. Other candidates and speakers include Bob Statchen (candidate for State Senate), Kate Rotella (candidate for Representative), Representative Joe de la Cruz, Representative Christine Conley, and Penny from Indivisible. This is a terrific opportunity to connect with these amazing public figures. We need to do everything we can to help them secure their seats. For the second part of our Tuesday meeting, we will explain the importance of canvassing for the candidates. Penny from Indivisible, who spoke to us back in January, will assist us in getting started. Hope to see you all on Tuesday for this very important meeting. Come see what a blue wave looks like! Our June 19th meeting has been postponed. We will reschedule our meeting for sometime in July. We are very sorry for the inconvenience. However, you can take action NOW! I believed we would intern people based on nationality and religion, but I never imagined that we would have more than 10,000 children in immigrant detention. This week’s Quick Actions are all about addressing the humanitarian crisis being perpetrated by our government. These actions are not enough, not nearly enough. In the coming weeks, there will be more opportunities to engage in civil disobedience to end this horror, and I will share them as they emerge. 1. Understand that this is about greed – and share that knowledge widely. Private prison companies, whose business models are based on abusing human rights, are profiting from immigration detention centers. CoreCivic, formerly Corrections Corporation of America, and the GEO Group are both crowing to their shareholders about increased earnings thanks to their contracts for “family immigration centers.” Both companies were also major donors to the Trump inauguration. 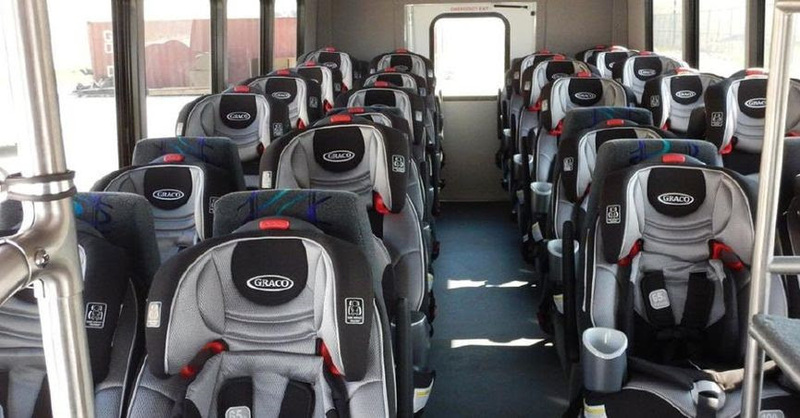 A bus used by GEO Group to transport immigrants is equipped with babyseats. See verification here. 2. Get kids lawyers. Children are being separated from their parents and locked up without any legal representation. Here are groups that provide lawyers to immigrant kids. They need our support. 3. Defund the government agencies victimizing children. Congress should stop funding Immigration and Customs Enforcement, Customs and Border Protection, and the U.S. Attorneys’ Offices within the Department of Justice. Please contact your Members of Congress. Script: I am a constituent from XXXX. I know that the representative/senator shares my outrage over family separation and incarceration at the US border. I hope that s/he will take action to cut off funding for Immigration and Customs Enforcement, Customs and Border Protection, and the U.S. Attorneys’ Offices within the Department of Justice. If the administration is going to violate US and international law, Congress must use the power of the purse to protect undocumented children. 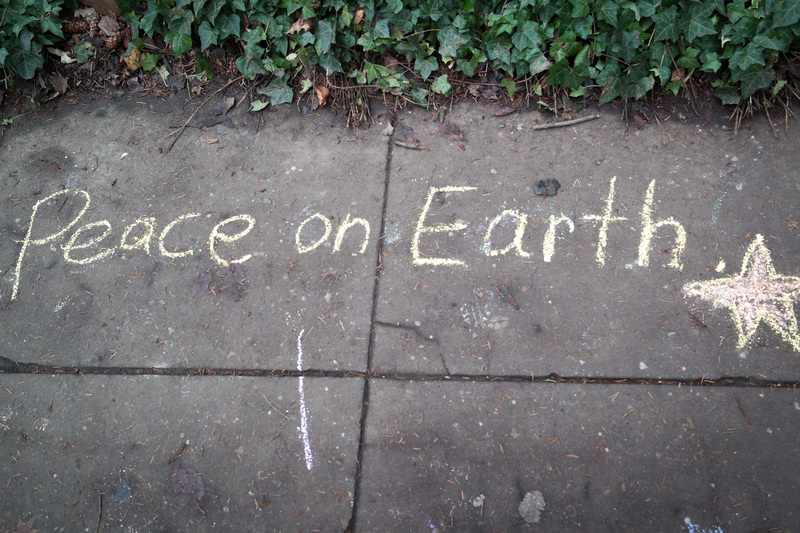 No blank check for war. Sens. Bob Corker and Tim Kaine are co-sponsoring a new Authorization for the Use of Military Force (AUMF) that will increase the president’s already-too-broad powers to engage in combat. Senator Chris Murphy, as a member of the Senate Foreign Relations Committee, can help kill this bad bill before it makes it to the floor. But his statement in the press about the legislation raises doubts that he will do so. Please contact him. Script: I am a constituent from XXXX who is concerned about the broad new Corker-Kaine AMUF. Congress has Constitutional authority over declarations of war for a reason. If it abdicates this responsibility, power will be dangerously concentrated in the president’s hands. The so-called Congressional “veto power” in the bill still leaves room for years of unchecked military action – including a nuclear strike. Will Sen. Murphy work to kill this dangerous bill in committee? Supporting Malik and Zahida. Comedy Central did a segment on a family taking sanctuary in Old Lyme Congregational Church. It makes mention of their business, Pizza Corner, in New Britain – which is still open. Bills don’t go away when a family goes into sanctuary. Please eat at Pizza Corner. Make a day of it and see the New Britain Bees or visit the New Britain Museum of American Art. Send me a photo of yourself enjoying a slice so I can feature it in the next newsletter. Sophie Scholl was a member of the White Rose, a non-violent movement that opposed Hitler from within Germany. The quote comes from her trial for treason. She was 21 when she was executed. The White Rose had only about 300 members. I’ve always wondered how different history might have been if more people had dared to say what they thought. Please contact Congressman Joe Courtney and ask him to oppose HR 200, a house bill that would weaken protections on commercial fisheries nationwide. The following information comes from RUM friend Dr. Peter Auster, Senior Research Scientist, Mystic Aquarium, Sea Research Foundation and Research Professor Emeritus, Dept. of Marine Sciences, UConn. Represent a significant step backward and hinder federal fisheries managers’ ability to rebuild and maintain sustainable fish stocks. Threaten the law’s strong accountability and responsible management measures – including the requirement to use science-based fishing catch limits. Threaten the scientific integrity of the stock assessment process. H.R. 200 is the wrong foundation for reauthorizing Magnuson-Stevens! We can’t go back to the bad old days in the 1980s and ’90s, when poor management caused so many fisheries to collapse – taking jobs and businesses with them. Tell Congress: Oppose H.R. 200. Our fisheries need science-based management for our fishing communities to thrive. ACT NOW! Please oppose HR 200 and similar legislation that significantly weakens our existing bedrock fisheries legislation. Fish populations and their habitats have significantly improved all over the country due to the provisions of the current law. HR 200 reverses over a decade of progress. While many fisheries off New England remain in poor condition, the tools to fix these problems are in the current law. Thank you for your consideration. A similar bill, S1520, is being proposed in the Senate, so if you have time, please contact Senators Murphy and Blumenthal as well. Please oppose S1520 and similar legislation that significantly weakens our existing bedrock fisheries legislation. Fish populations and their habitats have significantly improved all over the country due to the provisions of the current law. These include benefits to recreational fisheries. S1520 reverses over a decade of progress. While recreational fisheries have conflicts with commercial activities and across states, the tools to fix these problems are in the current law. Thank you for your consideration. Contact Heather Somers by phone or email and ask her to vote yes on HB-5421, which provides for Connecticut’s Electoral College votes to be cast for whoever wins the national popular vote in the presidential election.